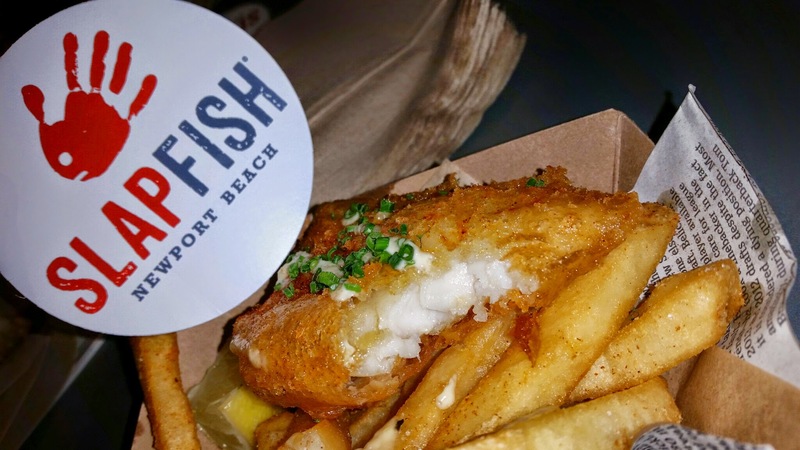 Slapfish is one of my favorite seafood restaurants in the Orange County area and they actually went international last year opening a location in Dubai! 🙂 I went to the grand opening of the Laguna Beach location last year. 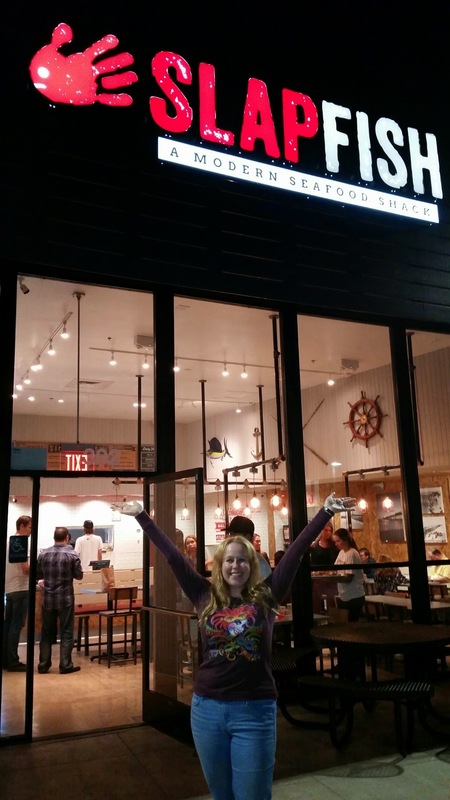 You can read about that location here –> Slapfish Laguna Beach Last night I was excited to attend a media preview for the newest Slapfish location opening in Newport Beach. 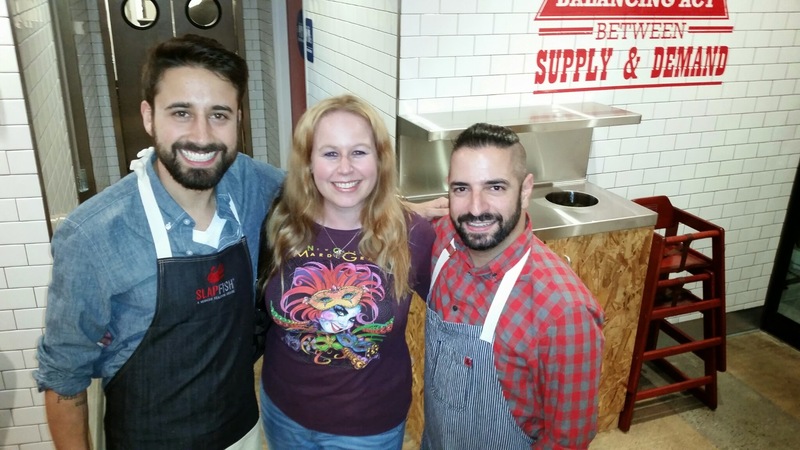 The new Slapfish in Newport Beach will be opening this Monday, February 2nd! The address is 2727 Newport Boulevard, Newport Beach, CA 92663, conveniently next to Jack Surfboards, which they now partner with! The new location will focus on fresh, sustainable seafood prepared simply with big bold flavors as always, and will offer a variety of Slapfish signature dishes. 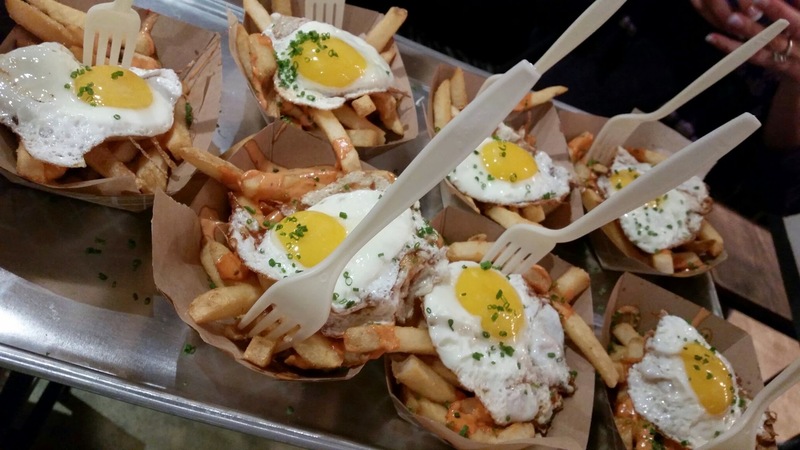 Something new released last night at the media preview that we were excited to taste was the Mermaid Fries which came with fresh cut fries, fried egg, and Chef Andrew Gruel’s special “awesome sauce.” We enjoyed previewing this item last night and of course it was delicious! Another item on the menu that I look forward to trying is the Surf N’ Turf Lobster Burger! This item is a griddled beef patty smothered in lobster & creamy caramelized onions, and served with hand cut fries!! 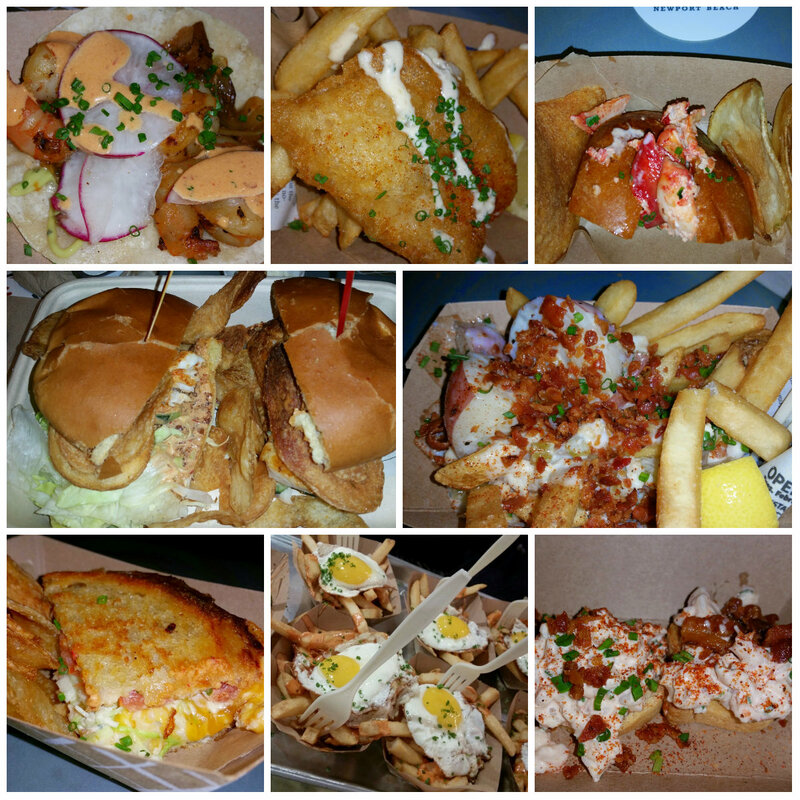 At last night’s media preview we sampled a variety of Slapfish goodies including protein style fish tacos (taco without the corn tortilla, wrapped in lettuce instead), the ever so famous (one of my favorites) chowder fries, lobster roll of course, lobster grilled cheese, fish and chips and more!!! Every time we visit Slapfish we are thoroughly satisfied with their fresh and sustainable seafood! Slapfish Newport Beach is definitely a place to hit up any time of year here in sunny Southern California when you are in the beach area! With a perfect location, this place is going to be jam packed! check in on social media or share a photo from a Slapfish location, they give you FREE lobster toast with your order! See my photo for the mouth watering morsels! Don’t forget to rush to Slapfish on Monday and get there at 11am for your FREE lobster roll!! This food looks amazing. The mermaid first are an interesting combo. I enjoy fried eggs but I typically don’t like them to touch other stuff. They were very tasty! I was very pleasantly surprised by the combo and loved them! Amazing food. Such wonderful things to choose from. I agree Debbie! There is such a great variety! This all looks so delicious! I would love to visit and try some of these dishes! I hope you get in soon! Thanks for the comment! My husband loves to taste fishes in different varieties. A restaurant like Slapfish is something he would love to visit anytime & give a try on all those delicious varieties of fish. Thanks for sharing. What is “awesome sauce”? We love fries and eggs… and rice and eggs… and well, anything eggs! What a cool concept that makes people aware of the food they eat and why it’s important to protect our planet. I presume that’s what the sustainable part of their name is referring to? Pity we live far way. I’d love that freebie. Sustainable seafood is certainly the best way to go and it is so important for the public to be educated. Hope you get to visit soon! How delicious! 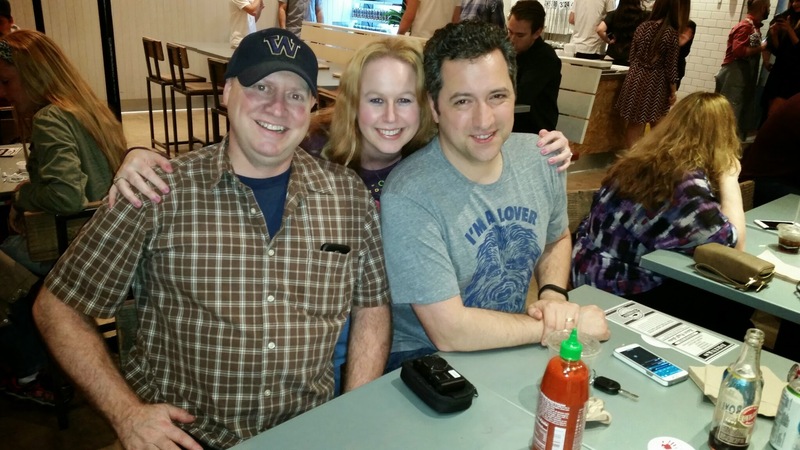 My husband loves finding a great seafood place. And, I love the look of those Mermaid Fries.